Planning a group trip to Los Angeles? 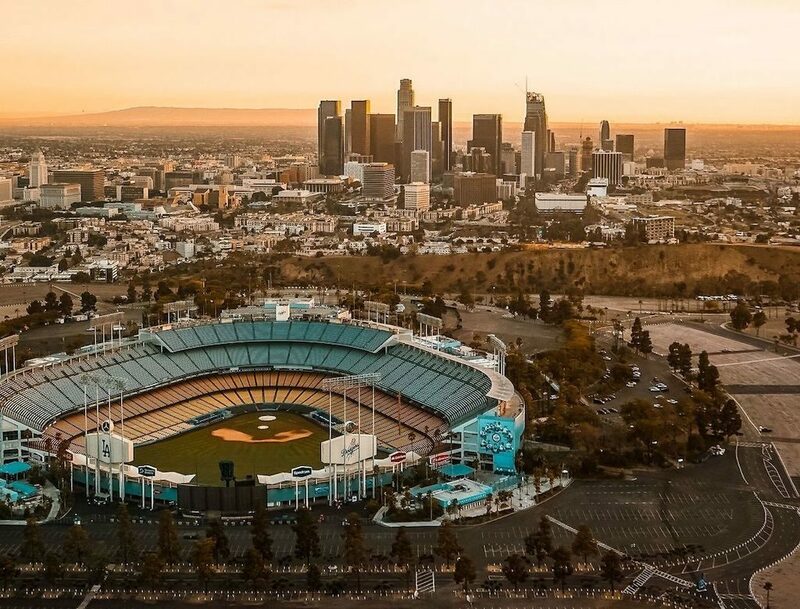 We have a list of some of the hottest tourist destinations in LA, including what you’ll find, what to do, and the best way to get around while you’re visiting. From the start, we should mention that the easiest way to see all of these sites is by chartering a bus to ensure that you and your group get to each of these destinations easily and comfortably. Once you’ve got that part out of the way, you’ll be able to fully enjoy the best of all that LA has to offer. Let’s get started on our trip through LA! The first thing you want to do when you get to LA is check out the essentials. These are the ‘can’t-miss’ spots on this list, where you’ll get the best bang for your tourist buck. The sun is shining. You walk off the bus and find yourself at the foot of the Santa Monica Pier. You look up and see the iconic sign, welcoming you to a wonderland of attractions old and new, allowing you to take a scroll throughout history – with a futuristic design. The centrepiece of the Santa Monica Pier is the 85-foot Ferris wheel. Over 150,000 lights put this iconic amusement park structure on display in the evening, while during the day, the sun reflects off the attraction, emphasizing the vibrancy of its colourful carriages. What’s more, the whole thing is solar-power operated — the first of its kind! 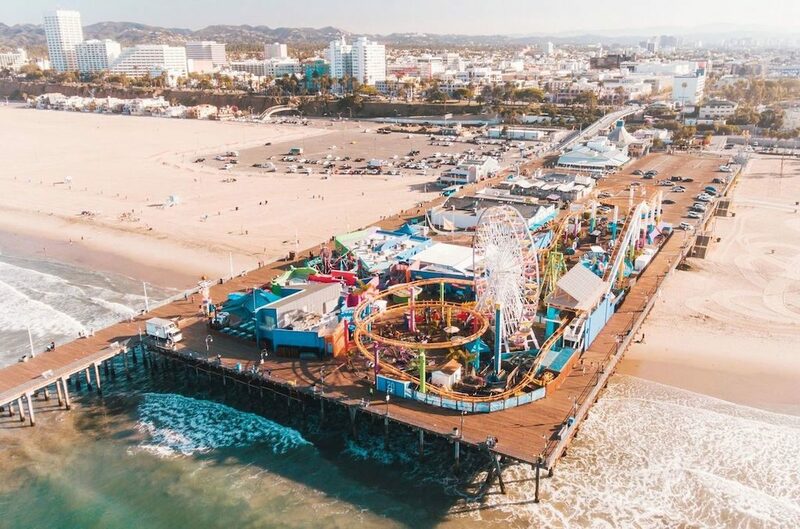 Keep in mind that, at this point, there are two attractions at this location, with one of them being the pier itself, with several attractions such as the aquarium and Pacific Park, where you’ll find the Ferris wheel. For all you beach bums, there are more than three miles of beach with pristine, soft, white to enjoy, as well. This is a great spot for groups of all ages, where everyone will surely create memories that last a lifetime. Hooray for the Hollywood Sign! The US Capitol Rotunda. The Statue of Liberty. Mount Rushmore. All iconic American monuments. Perhaps none so famous around the world as the iconic Hollywood Sign in Los Angeles, California. 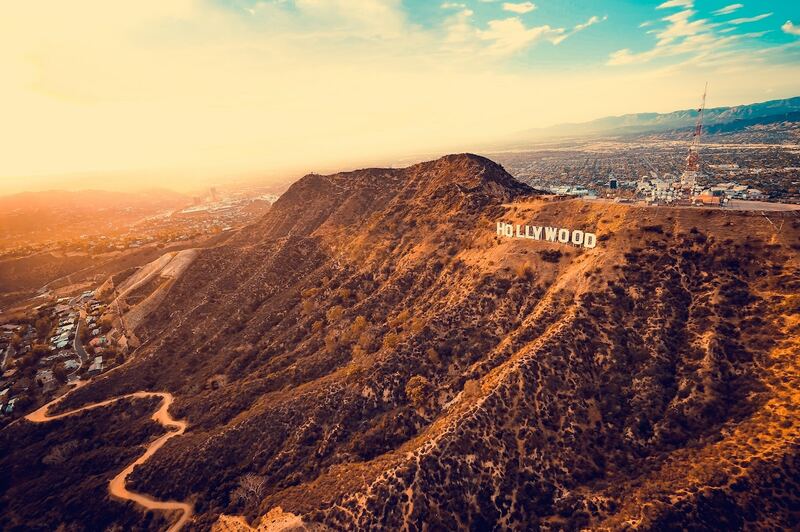 If you head to Hollywood, either you go big or you go home – and what better way to experience the Hollywood sign than by getting up close and personal? A bus tour of the Hollywood Sign is the clear winner transport options, as parking can be very limited. Plus, you’ll get a lot more out of it than a better view of this iconic Los Angeles landmark on a bus than you would otherwise! Decades of neglect caused the sign to fall into woeful disrepair, and by the late 1970s, help was badly needed. Many stars came to the rescue, with donors like Alice Cooper (who ‘purchased’ the O in remembrance of his good friend Groucho Marx) donating to the recovery efforts to provide us with the sign that stands today. There’s a lot more to do around the Sign, as well. There are great hikes, for those who like to want to take in some fresh air with breathtaking views. Be sure to check out Griffith Park, and while you’re there, pay a visit to the Griffith Observatory. While you’re at the Sign, you’ll be treated to amazing views, wildlife, and you’ll get to see a piece of history. Don’t miss it! You can’t visit Hollywood without experiencing the Hollywood Walk of Fame, and it’s just a couple of miles from the Hollywood Sign! With a group bus tour, you can take your entire crew and visit your favourite celebrities’ Walk of Fame stars, day or night. From Patsy Cline to Rosemary Clooney, from Will Ferrel to David Hasselhoff, the Walk of Fame is replete with the stars of yesterday and today. Even Lassie has a star on the Walk of Fame! Plenty of A-listers’ stars can be found on the Walk of Fame that promises to make this the most exciting sidewalk stroll you’ll likely ever take. Best of all? It’s free! LA is a lot more than just movie stars and high-end shopping! Its arts and culture destinations are home to some of the most amazing arts and entertainment you’ll find anywhere in the world. 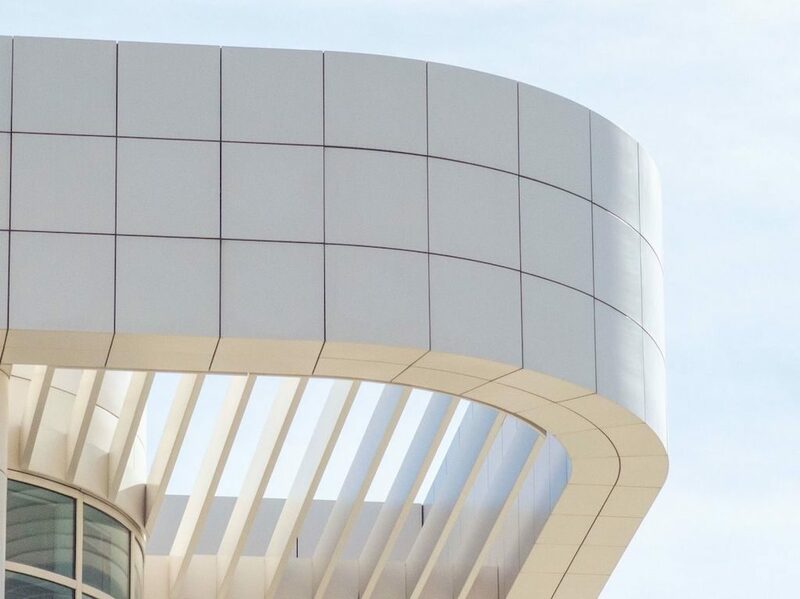 Originally built in 1974, the J. Paul Getty Museum has gone through a lot of changes over the years. The first came after it inherited $1.2 billion in 1982, allowing it to purchase 144 medieval manuscripts. Later, in 1997, the museum moved from its original Malibu location to the Brentwood neighbourhood of Los Angeles, and, after a period of renovation, was reopened again in 2006. This is a perfect destination for groups on bus tours. Whether you spend a morning, an afternoon, or the entire day there, you’ll find plenty of interesting artifacts, artworks, and installations. You’ll find paintings from the masters of many periods and disciplines. Baroque portraits, impressionist landscapes, and even some Louis XIV of France furniture pieces. While there, be sure to take advantage of the multimedia players with commentary on the artworks as you take a customized tour through the gallery. Enjoy! 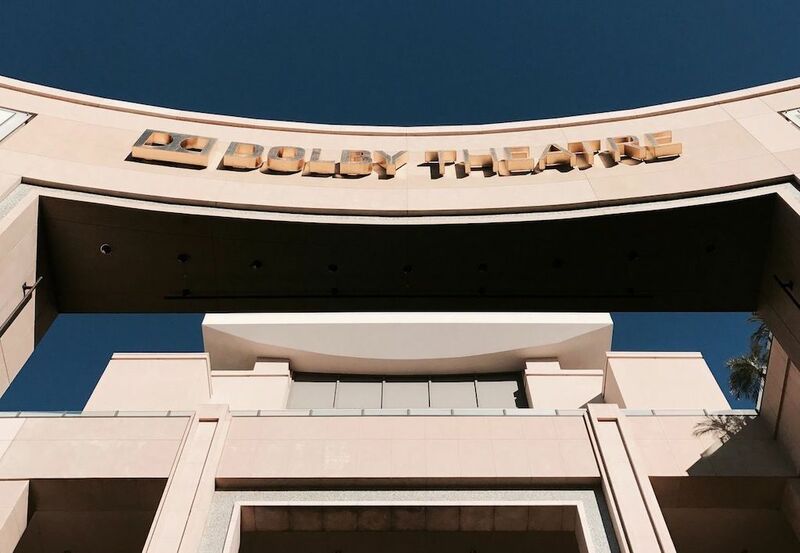 Right across the street from Grauman’s Chinese Theatre, you’ll find the Dolby Theatre, which was originally known as the Kodak Theatre. There’s a good chance that you’ve already seen the inside of the theatre on TV, as it has played host to the Oscars since 2002! Fun fact: it’s also host to American Idol. While in Los Angeles, make sure that your bus tour group checks out a show at the theatre. It’s an amazing auditorium with an expansive staircase, art deco columns, and, of course, the famous red carpet that adorns the stairway. The world’s most famous acts have performed at the Kodak Theatre. Everyone from Vanilla Ice to Prince, and from David Gilmour to Celine Dion have performed there. Don’t miss your chance to see your favourite act in one of the world’s most famous and beautiful settings. It’s time for some family fun! More than just a place to make sure the kids are entertained, you’ll also find lots for children of all ages to do at these amazing destinations. 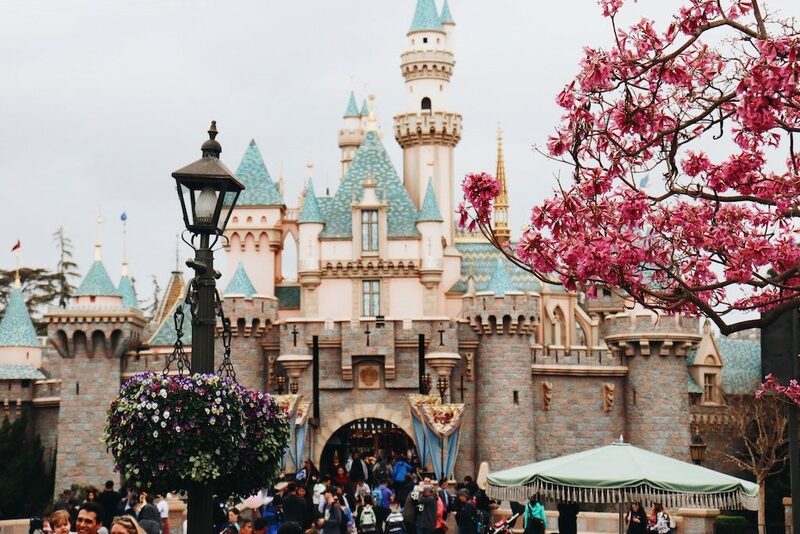 Since 1955, Disneyland has been America’s premier family fun destination from travellers from around the world. You can visit it year-round! And to make sure that you’re not going to have to spend most of your day searching for parking, you’ll do much better if you charter a bus for your family and friends to make the most of your time. Walk down Main Street, USA, take a stroll through New Orleans Square, and take a trip back in time at Frontierland. And don’t forget to timetravel into the future at Tomorrowland! You’ll find all of your favourite rides at Disneyland, and (don’t forget! ), all of your most beloved characters from beloved, iconic Disney films. Get a picture with Mickey Mouse, share a hug with Cinderella, or have a quick dance with Snow White and the Seven Dwarves. Make sure to stay the whole day before getting your crew back on the bus to take advantage of the famous Disney fireworks show, which generally start between 8:45 PM to 9:30 PM. Following the fireworks extravaganza, relax in style on your way back to your hotel, and talk about the day’s adventures in the comfort of your chartered bus. This is one Los Angeles must-see destination that is visited as often by locals as it is by tourists – a telltale sign that Universal Studios Hollywood is worthy of a visit! 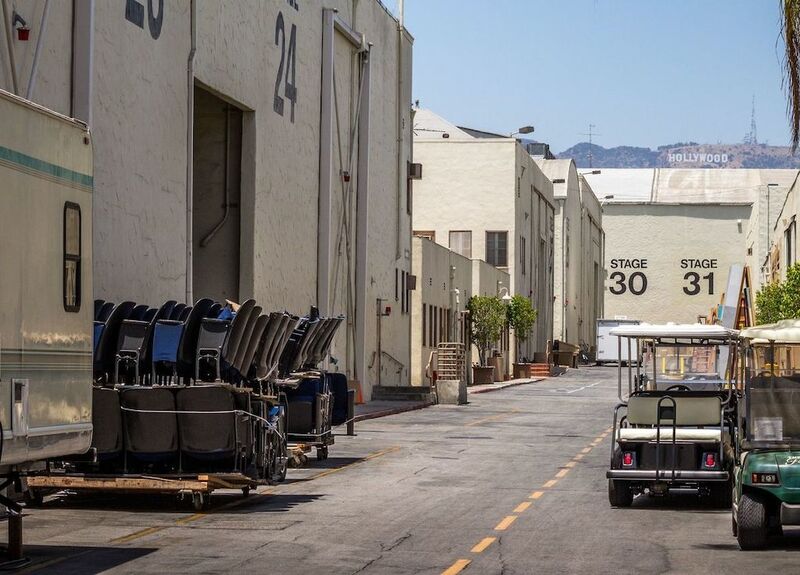 The Universal movie studio has been offering tours since 1915. Tours were briefly interrupted in 1930 when film began to implement sound elements, transforming “films” into “talkies”. Thankfully, the name “talkies” didn’t stick, and neither did the tour closure. The theme park as we know it was opened in 1964. Of course, the studio has undergone a lot of changes throughout the years. Visit the studio and amusement park today and watch yourself morph into Minions through a 3D motion simulator, take a ride through Springfield on the Simpsons Ride, experience the wizarding world of Hogwarts, and see a stunt show reenacting one of the most underrated, under-appreciated, and enchanting movies of all time: Waterworld. There are a lot more theme rides, shows, and even gift shops to see at Universal Studios, so make sure to make a day of it (or three) while you’re there! No, not those kind of stars. Real stars! Whether you’re a family, a group of friends, or a school group, charter a bus to Griffith Observatory for their weekly star parties that take place one Saturday per month. But there’s a lot more at the observatory to take advantage of than that. There are free telescopes available to every member of the public at the observatory until 9:30 PM (unless it’s the night of a star party). Located on Mt. Wilson, overlooking LA, the observatory is the fulfillment of a dream for the repetitively named Colonel Griffith J. Griffith, who was a believer in the power of observation. Well, his dream has come true! More people have viewed the sun through his coelostat than through any other telescope in existence. It’s an amazing experience to share with your friends and family, with plenty of telescopes to enjoy the surrounding area and the celestial bodies above. LA is hallowed ground for many sports fans. The best athletes in the world have blessed the City of Angels with their talents over the years. Don’t miss these spots! The Staples Center in LA is home to several professional sports teams, including the Kings, the Lakers, the Clippers, and the Los Angeles Sparks of the WNBA. But it’s a lot more than just a sports stadium. The venue is host to more than 250 events every single year, and it’s also home to the Grammy Awards! More than 4 million people gather at the stadium every year, which means that on any given day or evening of an event, parking can be a bit of a hassle. This makes it a great venue to charter a bus to so that you ensure you’ll get all of the enjoyment with none of the headaches. 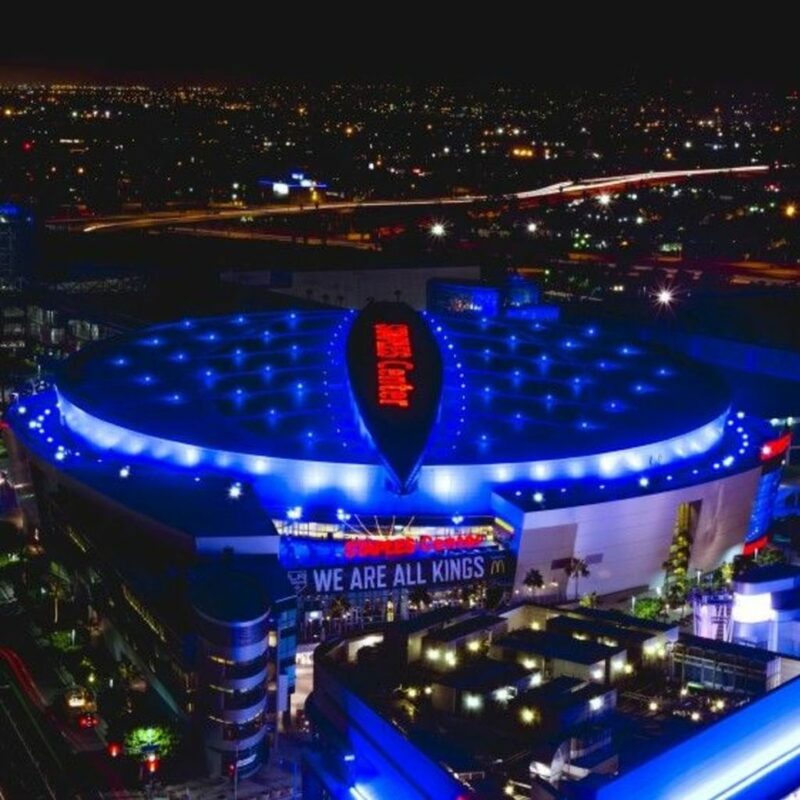 And while you’re there, you’re going to want to take a walk around the exterior to see statues of some of the most famous people to play for LA teams, including Shaq, Magic Johnson, Wayne Gretzky, Kareem Abdul-Jabaar, and more. Since 1962, Dodger Stadium has been the home to the Los Angeles Dodgers, formerly of Brooklyn. The third-oldest ballpark in existence, behind Fenway Park and Wrigley Field, it has been home to no fewer than 12 no-hitters, which includes two perfect games. It’s a perfect spot to charter a bus to and be a part of history! There’s more than just baseball being played here, though. The site has been home to soccer games, cricket matches, was host to the 1991 U.S. Olympic Festival, and was even a hockey stadium for a day in 2014 when the Kings played the Anaheim Ducks. It’s also a great spot to take in a rock show, with acts like KISS, the Rolling Stones, Elton John, U2 and even the Beatles. Built in honour of the brave men and women of the US Armed Forces who lost their lives during World War I, the LA Memorial Coliseum has stood in commemoration since 1923. Since then, it’s hosted numerous sporting events, local sports teams, and international dignitaries, including Pope John Paul II, JFK, Martin Luther King Jr., and the Dalai Lama. The current, yet temporary, home of the Los Angeles Rams of the NFL, the facility at one time boasted a seating capacity of more than 93,000. However, after renovations, that number is now 78,500, which is still enough people to make parking inconvenient. You’ll be best served by a charter bus service to make your trip to this amazing stadium a memorable one. With so much history and so many sites to see, LA can get overwhelming when you’re trying to travel around the city. The city is known for its traffic jams, and can easily get confusing for out-of-towners. In order to get the most out of your trip, be sure to book a charter tour bus, turning each of these iconic sites and the bus commute to them into lasting memories. After all, like Randy Newman said: we love LA.